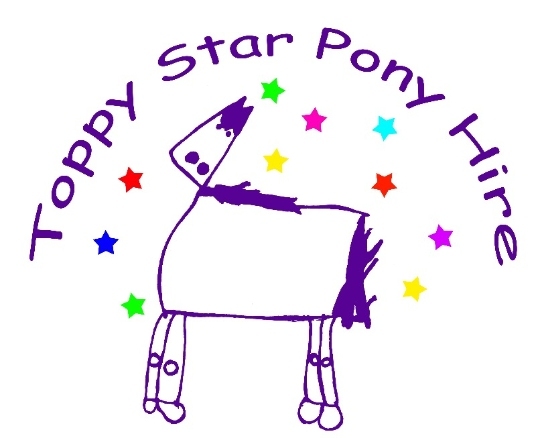 Welcome to Toppy Star Pony Hire and Riding School. We are based in Fife, Scotland and are Fife's original and best mobile Pony party, pony visiting and therapy business. We are unique in that when you come to us for a pony session you will be our only customer ensuring our undivided care and attention. Our kind and gentle ponies,Topsy, Jack, Dancer,Beth, Bonny, Tallula, Leo, Aaron and Daffodil love going on pony adventures, meeting new people and teach you new skills. We offer a wide variety of services from Pony Parties in your garden to visits to Care homes. Click on "Activities for children" "Pony Parties" and "other services" to see what pony treat you fancy.We now have fun sessions for adults too! We are open 6 days a week all year. Toppy Star Pony Hire has a Riding School Licence issued annually by Fife Council and has Riding School Insurance. The safety of everyone involved in our pony experiences is paramount to us. Our comprehensive range of policies and procedures, insurance schedules and licence may be viewed on request. There is nothing that gives the Toppy Star team more pleasure than the look of delight on someones face when they meet the ponies. The Toppy Star Ponies are kind, well mannered ponies who are instinctivly careful with people of all ages. Kirsty Tudor (owner) with Topsy and Jack at Falkland Festival.